Intel introduced its 6th-generation “Skylake” CPUs on Wednesday, but for most consumers it’s just a dream. At Gamescom in Germany, Intel unveiled two new 14nm desktop Skylake CPUs aimed at PC enthusiasts and gamers. 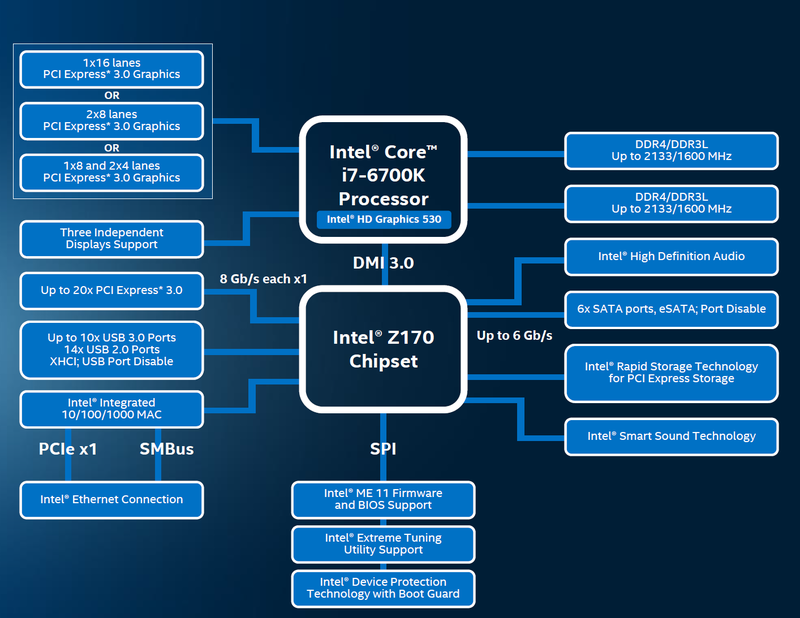 Expectations are running high for Skylake, which is a “tock” in Intel's processor roadmap. For years Intel has worked on a “tick, tock” cadence for CPUs: Ticks are used to introduce new process changes and bring fairly conservative improvements, while the follow-on tocks are expected to bring a performance boost. 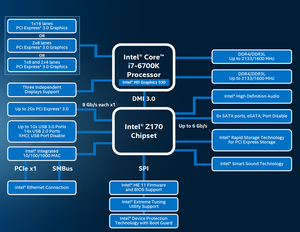 The two Skylake CPUs include the 4GHz Core i7-6700K and the Core i5-6600K. Both are quad-core, desktop chips, with the key differentiator being support for Intel’s virtual CPU Hyper-Threading technology. While unattributed reports earlier this year had performance differences between the 6th-gen Skylake and the 5th-gen Haswell wildly high, Intel officials say to expect 10 percent over last year’s fastest Haswell CPU, 20 percent over the fastest Haswell from two years ago, and up to 30 pecent over the fastest 3rd-generation Ivy Bridge chip. Graphics performance differences between the new Intel HD 530 and previous chips would be from 20 percent to 40 percent. 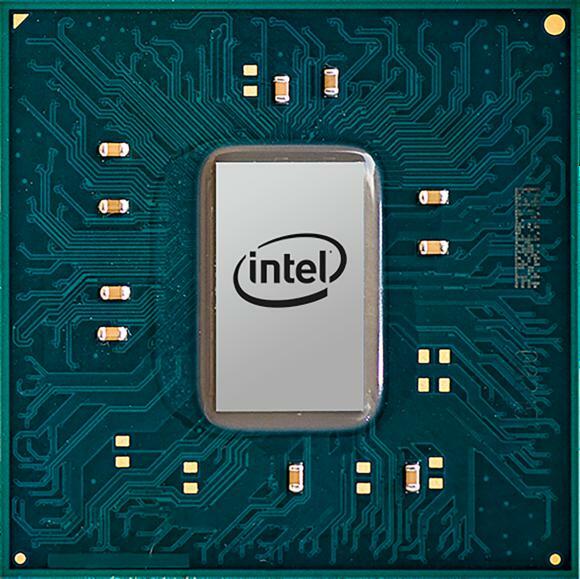 Why this matters: After the too-little, too-late launch of the desktop 5th-gen Broadwell CPU in June, many see Intel’s Skylake as the true replacement for its Haswell series of CPUs. Our own reviews of Skylake confirm most of Intel’s claims, with a decent 10 percent step-up over the fastest Haswell chip on compute tasks, and far more sizeable increases in graphics. 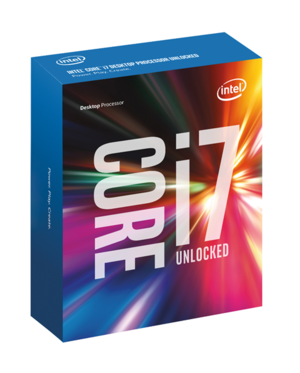 Intel’s 6th Skylake CPUs get new packaging too. Skylake desktop CPUs use a newer LGA1151 socket that is incompatible with older LGA150 sockets. That means systems using Skylake will require different motherboards, but that may not be a bad thing for those into moving foward. Along with the new CPUs, Intel is also unveiling the much-needed 100-series chipset that includes key improvements to all PCs. The previous 9-series chipsets were often handcuffed by a lack of internal bandwidth within the chipset itself. If you think of a computer as a small city with congested roads, mainstream PCs have been clogged for years when a lot of hardware is installed. Getting data to multiple USB 3.0 drives, SATA drives, SATA Express and hard drives would easily overtax a PC’s available bandwidth. For example, SATA Express as implemented in the Z97 and other 9-series chipsets was limited to 10Gbps transfer speeds by design. That has been a non-starter for high-end drives, which easily exceeded that bandwidth. With the additional bandwidth on Z170, SATA Express can be now hit 16Gbps connections speeds, making it more appealing. Skylake’s new Z170 chipset is a welcome upgrade. The new Z170 chipset doubles the internal bandwidth by going from a x4 PCIe 2.0 connection to a x4 PCIe 3.0 connection, and also now offering up to 20 PCIe Gen 3 lanes in the chipset itself. The top-end Z97 chipset, for example, offered 8 PCI Gen 2 lanes. Although there’s no direct need for the new chipset to implement USB 3.1, many new motherboards for the new Skylake chips have all featured USB 3.1 and newer USB-C connectors. The most noticeable change on Skylake systems will be the use of DDR4 memory. DDR4 was first introduced on PCs with Intel’s ultra-high end Haswell-E CPUs in 2014, where the high cost of the newer RAM would be more acceptable. With the price difference between DDR4 and DDR3 now closer to parity, Intel feels safer introducing the newer and faster RAM to more mainstream platforms. DDR4 claims to fame are higher density and higher speeds while using less power.So far, that’s proving to be true. Haswell CPUs never saw density beyond 32GB because desktop memory modules never exceeded 8GB. With Skylake and the 16GB modules, you’ll be able to build or buy a system with double the previous maximum amount. The memory bandwidth of DDR4 is also greatly improved, with modules pushing DDR/3200 and into the DDR/3666 range already. With Skylake now in the hands of gamers and die-hard enthusiasts, when will laptops and mainstream PCs get Skylake? Skylake’s launch shouldn’t be like the dribs and drabs of Intel’s first 14nm Broadwell chip, which suffered delay after delay. Skylake in laptops are expected to hit “sometime” this quarter. Sources have previously told PCWorld to expect the new chip in August. Intel officials declined to confirm that report, but all chatter points to a much more rapid introduction than Broadwell.